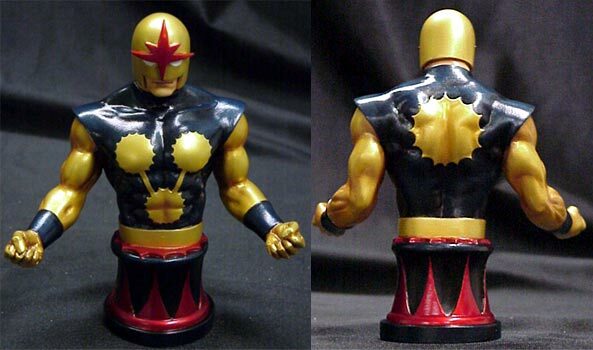 12/14/04 Bowen Design's Nova Mini-Bust Has Been Modified! 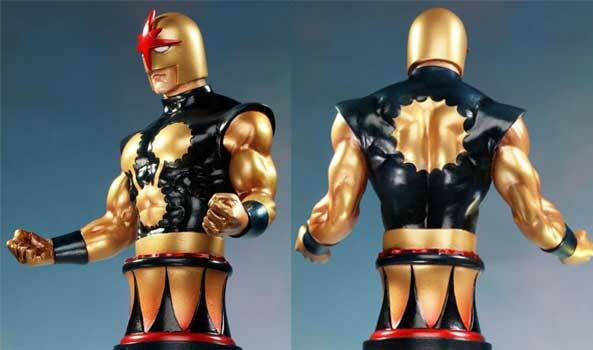 Bowen Designs has modified the Nova mini-bust for the final version. It's still available to order! It was sculpted by Carl Surges and Randy Bowen and is scheduled to ship in January. The price is $45 with $7 shipping. The question was: "Would you like to see Rich and Ginger back together to raise her baby?" 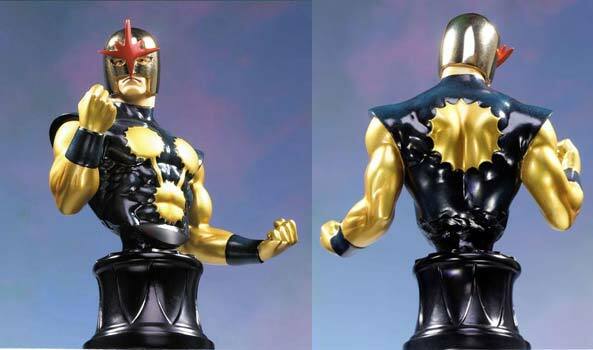 9/24/04 Bowen Design's Nova Mini-Bust Is Now Available For Pre-Order! Bowen Designs has the Nova mini-bust available for pre-order! It was sculpted by Carl Surges and Randy Bowen and is scheduled to ship in January. The price is $45 with $7 shipping. The released version will feature a gold chromed helmet. Nova has an appearance in Marvel Team-Up #2. Thanks to Don Lund and Newsarama for the info! The question was: "Would you like Nova to be a member of Bendis's new Avengers?" Nova has a text only mention in Captain America #29. Thanks to Chuck Johnson for the tip! 7/20/04 New Sneak Peek at Bowen Mini-Bust! Bowen Designs has released a new peek of the upcoming Nova mini-bust! It was sculpted by Carl Surges and Randy Bowen. Spectacular! I asked Marvel's EIC, Joe Quesada, about the new Nova series rumor. His response: "This is not true." comicbookresources.com's Rich Johnston is reporting in his Lying In The Gutter column that "There's a new "Nova" comic book series from Marvel in the works. A kind of "Starship Troopers" style comic, using the Nova Corp as an international marines-style team. The writers are believed to be Dan Abnett and Andy Lanning." Thanks to Don Lund for the tip!! Nova has an appearance in She-Hulk #5. 5/26/04 Sneak Peek at Bowen Mini-Bust! 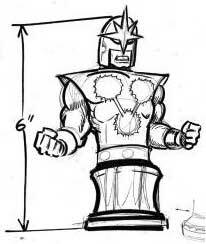 Bowen Designs has released a sketch of the upcoming Nova mini-bust! Be sure to visit their site for other spectacular items! 5/22/04 Return of the New Warriors? At Wizard World East, Joe Quesada said that there are proposals in for the New Warriors. Nova has a one-panel appearance in Avengers/Thunderbolts #3. Thanks to AJ Thomas for the news! The question was: "Would you purchase Nova merchandise produced by Bowen Designs?" 3/22/04 Nova appears in JLA/Avengers #4! Nova has a one-panel appearance in JLA/Avengers #4 which ships March 31st. 2/25/04 Nova Appears in new Alex Ross Lithograph (Update)! The new Alex Ross 'Marvel Universe The 70's' lithograph is now available for pre-order! Click here to place your order and see the finished work! The litho ships in May. 1/31/04 Bowen Designs Nova Announcement! On the Bowen Designs Message Board, Randy Bowen has announced that a Nova mini-bust will be sculpted!! 1/21/04 Nova Appears in new Alex Ross Lithograph! Nova will be one of the characters in the new Alex Ross lithograph dedicated to the Marvel heroes of the 1970's. It will be offered by Dynamic Forces. For the press release and the rough pencils, click here. Nova has a one-panel appearance in Captain Marvel #18. The question was: "What type of Nova story is your favorite?" 12/14 Added the modified Bowen mini-bust to News. 11/24 Added Marvel Team-Up #2 (v3) to Checklist. 11/13 Added Nova wallpaper to FanWorks. 11/08 Awarded the Centurion Award to the NW Forum. 11/08 Added video clip to TV. 10/31 Added Diamondhead and Super-Nova to Dossiers. 10/8 Began the Dossier Database in Databases. 10/8 Changed poll question and posted results. 9/24 Added Bowen Designs availability to News. 9/17 Added Marvel Team-Up #2 to News. 8/28 The site won the Web Smarty Award! 8/19 Made changes to top and side site graphics. 7/29 Changed poll question and posted results. 7/29 Added Captain America #29 to News. 7/29 Added Captain America #29 to Checklist. 7/20 Added Bowen Designs sneak peek to News. 7/6 Added updated info on the new Nova series to News. 7/5 Added possible new Nova series info to News. 6/29 Added She-Hulk #5 to News. 6/29 Added She-Hulk #5 to Checklist. Guardians of the Galaxy 54, Marvel Comics Presents 175, Savage Dragon 82, Silver Surfer 55 and What If 61 v2 to Checklist. Very special thanks to Thomas Brennan for the list!! 5/26 Added Bowen Designs sketch to News. 5/22 Added New Warriors news to News. 5/20 Added Alex Ross's litho to Products. 4/28 Added Avengers/T-Bolts #3 to Checklist. 4/28 Added Avengers/T-Bolts #3 to News. 4/25 Changed poll question and posted results. 3/22 Added JLA/Avengers #4 to Checklist. 3/22 Added JLA/Avengers #4 to News. 3/21 Began the Alter-Nova Database in Databases. 2/25 Added Alex Ross's litho update to News. 2/11 Added Wil E.'s patriotic Nova to FanWorks. 1/31 Added Randy Bowen announcement to News. 1/21 Added Alex Ross's litho to News. 1/18 Added Captain Marvel #18 to Checklist. 1/18 Added Captain Marvel #18 to News. 1/12 Changed poll question and posted results.